• To open the trunk, press the trunk unlock button for more than 1 second on the transmitter (or smart key), press the button on the trunk handle with the smart key in your possession, or insert the master key (or mechanical key of the smart key) into the lock and turn it clockwise. 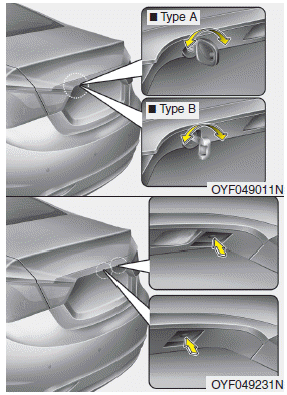 • To open the trunk from inside the vehicle, press the trunk lid release button. 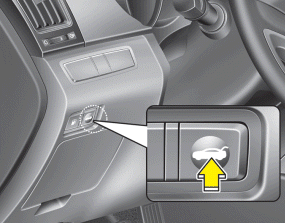 Once the trunk is opened and then closed, the trunk is locked automatically. The trunk swing upward. Make sure no objects or people are near the rear of the vehicle when opening the trunk.